Super Tuscan Wedding Planners in New York! Super Tuscan Wedding Planners is flying to New York! Super Tuscan is focused on Destination Wedding – in Italy for foreign couples of all nationalities. We provide assistance for civil, religious and symbolic weddings. We have planned several LGBT weddings as well! 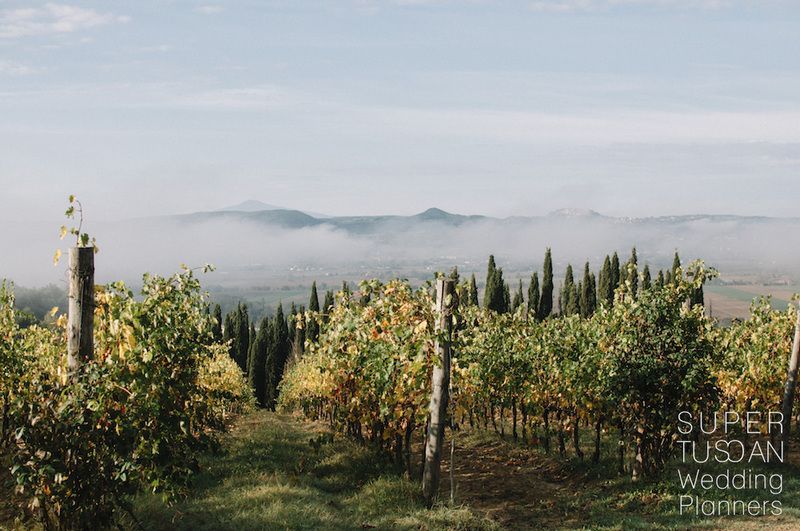 Our team is passionate of Tuscany and knows every tiniest corner of the region. No doubt we are able to find perfect Venues and to build weddings just the way couples want it, guaranteeing the best results thanks to the trusted vendors we cooperate with! Surely Super Tuscan will be the perfect guide to make a dream wedding in Tuscany true! Our staff is made of all young and dynamic people and we’ll be the best choice to accomplish the task, since we’re able to plan wedding at all levels and styles: country tuscan weddings, vineyard weddings, rustic-chic, elegant weddings and luxury weddings are our brad and butter! If you don’t believe, just watch our features on famous wedding blogs: the wedding chicks, Ruffled, Ulster Tatler, Style me pretty, Junebug, Wedding in wonderland, Two bright lights, Magnolia Rouge, Fly away bride. Style me Pretty, one of the best international wedding blogs, has included us in the list of the best six agencies for Destination Weddings in the world. Super Tuscan is the agency of reference of all the top and most exclusive Venues in Tuscany and this speaks for us! 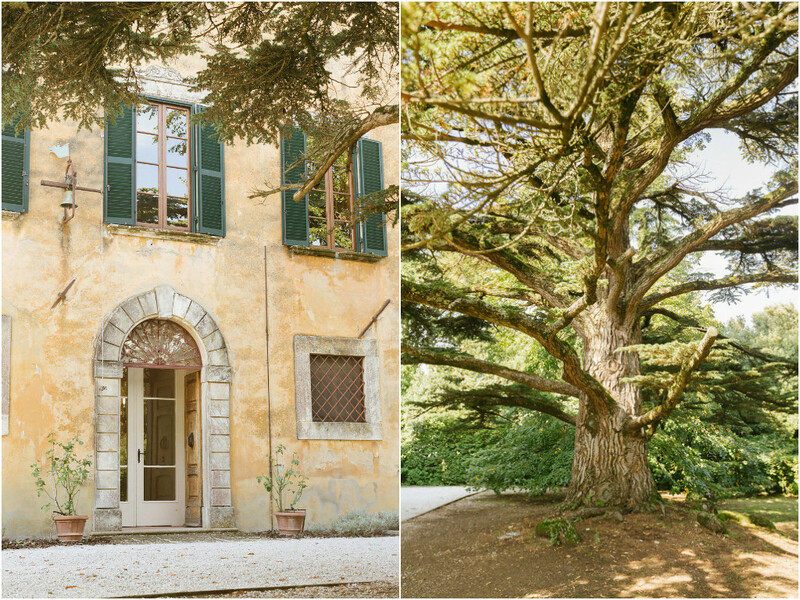 In the rolling hills or in the cities, we are able to recommend the most beautiful farmhouses, villas, castles, hamlets and luxury relais in Tuscany. Super Tuscan will be in New York from the 10th to the 16th of December 2017, available for meetings. We are looking for partners to achieve visibility in the US media: wedding planners in the US specialized in Destination Weddings, life style experts, professionals in US networking for touristic websites, wedding magazines, publishing houses and all companies involved in wedding sphere. Please, feel free to contact us to schedule appointments! It will be a pleasure to introduce you our projects, our goals, our approach and our way of working and to start a productive cooperation. 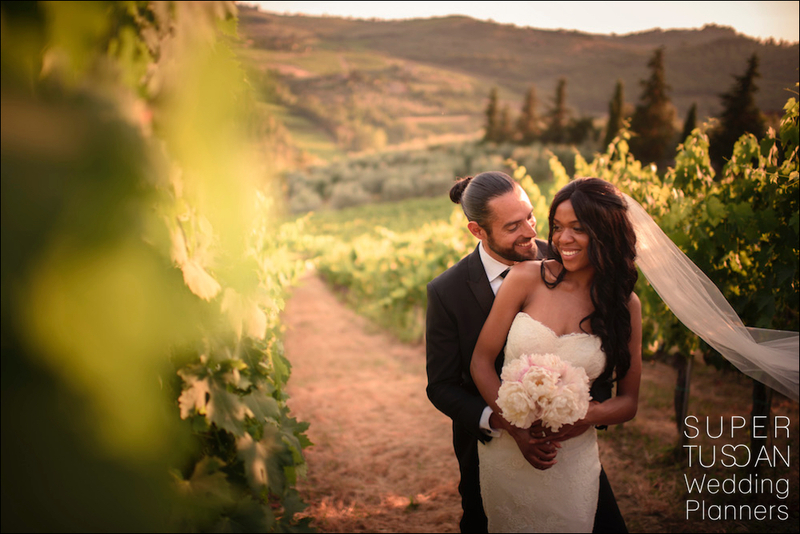 This beautiful couple, Lyndonna and Dre, are the protagonists of this romantic wedding in the beautiful Chianti’s hills. They got married on July 2016, in an amazing villa surrounded by vineyards. 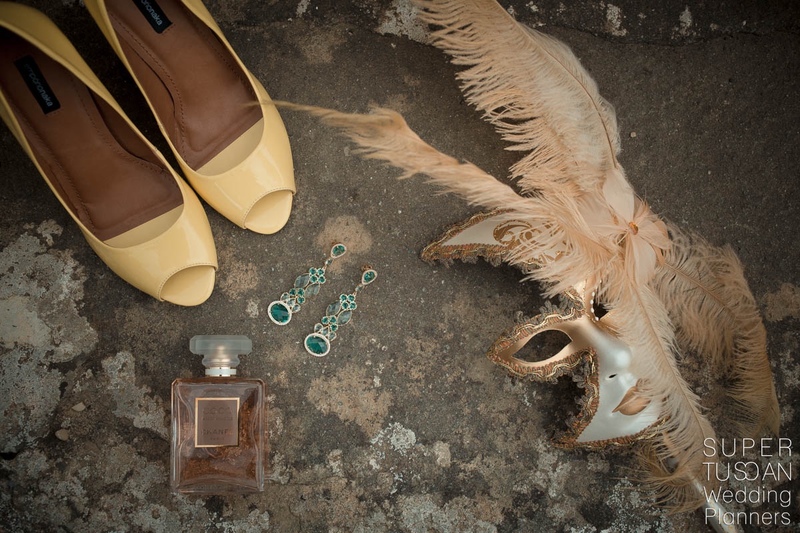 They chose a chic style for their Chianti wedding. The flowers and the dresses of the bride and the bridesmaids were white and pale pink. This lovely and fresh bride and groom have realized their dream and if you want to realize yours, then you have to read this post! Lyndonna and Andres are from USA and arrived in Italy with a small group of relatives and friends. They choosed a symbolic ceremony in front of the villa. 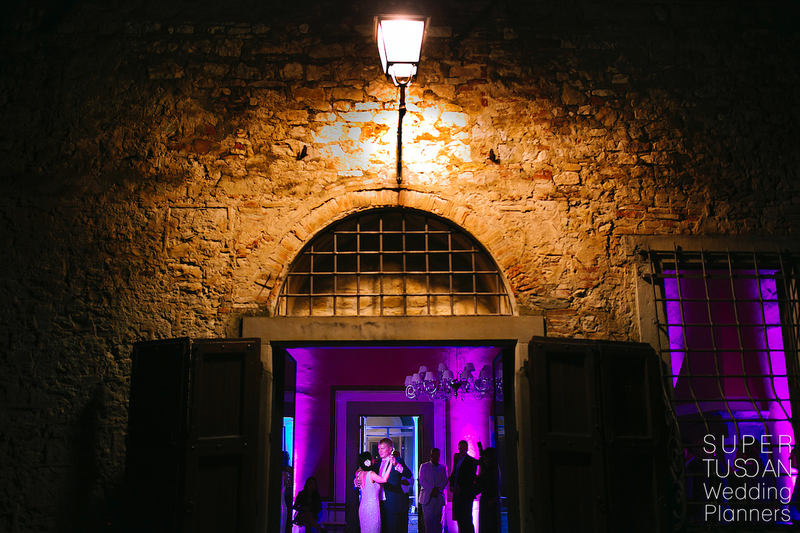 Carolin & Tibor, an intimate wedding in Chianti, Tuscan precious wine land! 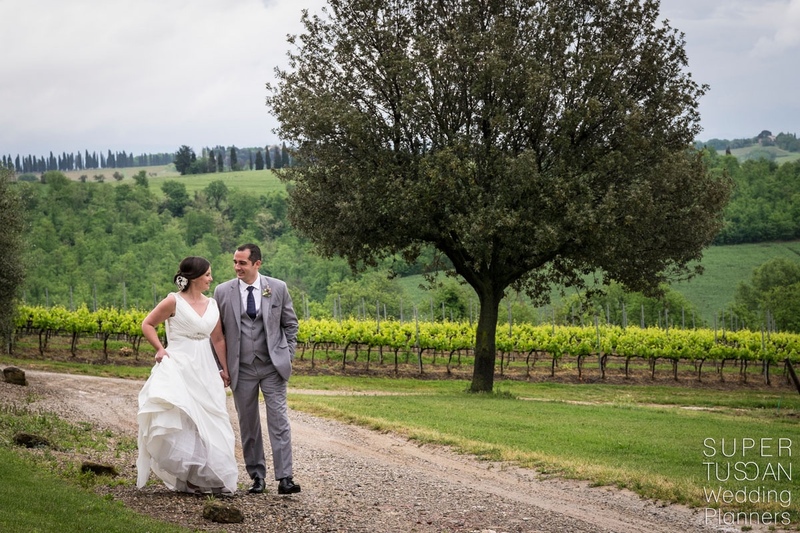 Carolin and Tibor decided to have a wedding in Chianti, one of the most renown for wine in Tuscany. An old winery was the chosen venue and the wedding itself, a pleasant easy intimate one! 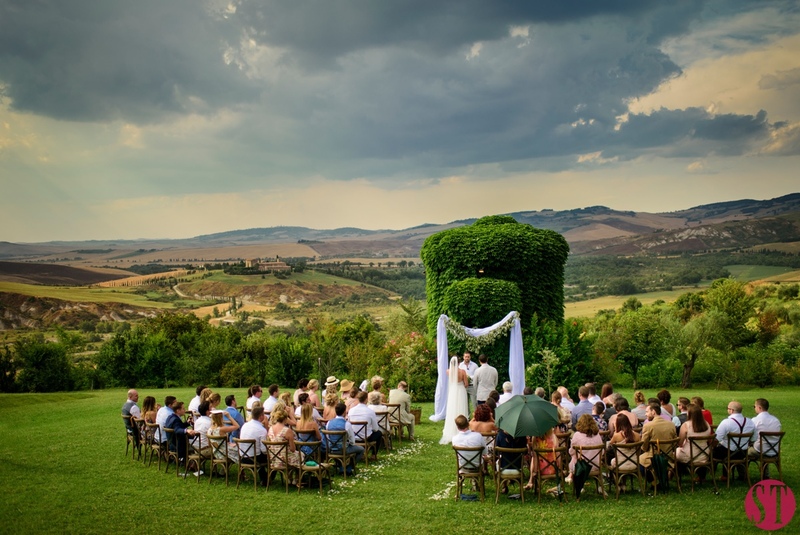 No more than 30 people attended this Tuscan wedding! Relatives and friends grouped together like a unique family for this special day for our bride and groom. Suellen & Rondinelli. Castle Wedding in Tuscany or Florence only? Well both! While planning a wedding the vision is always restricted to a unique venue, an amazing villa, stunning views, vineyards, the Chianti region and an infinity pool. Of course all this needs to be part of an amazing wedding! But who said a wedding can be this only! Not us! In fact, our Suellen and Rondinelli had an intimate castle wedding in Tuscany but didn’t stopped here! They reached Florence at night to spend some fun moments with their guests! Danielle & Richard, a stuning view, menacing clouds.. and much more! 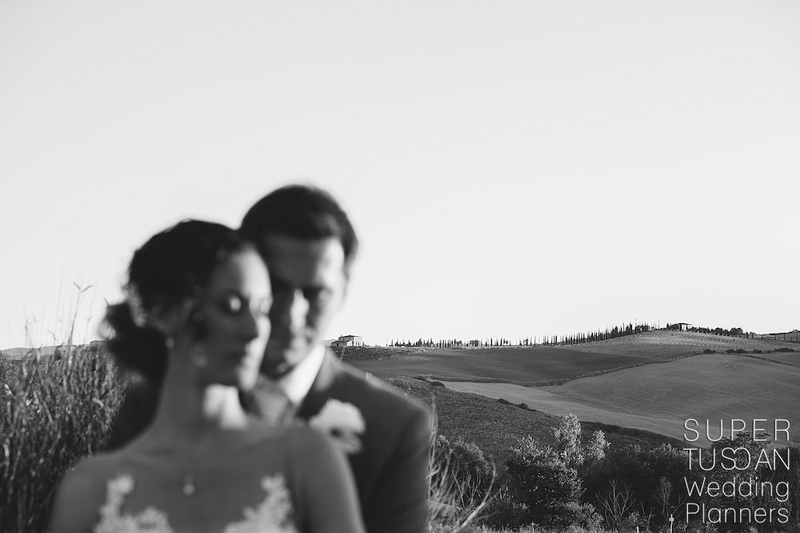 A Borgo in the middle of Valdorcia, hidden as a gem, was the perfect frame for this country chic destination wedding! The protagonists of this amazing wedding are Danielle and Richard! Danielle was born in the Kingdom of Bahrein while Richard reached this amazing country only after, just to meet his better half! Read more to discover! Of course Super Tuscan was their proud Wedding Planners in Tuscany Italy!